This is the Second and concluding part. Meaning: I bow to Him, I humbly bow. The Primal One, is the Pure Light, without a beginning, without an end. Throughout all the ages, He is One and the Same. Guru Ji’s simple advice is to offer a salutation to the Primal One, who has no beginning, nor any end. Guru Ji suggesting that, He alone is worthy of our salute. But what is this salutation? Meaning: There are nine forms of devotional worship. Meaning: Abandoning all devices and contrivances, I have sought His Sanctuary. Nanak has fallen at the Feet of the Guru. Meaning: Nanak serves and adores this wondrous person (God), and kisses his feet. Meaning: Greet the Holy Saint with your palms pressed together; this is an act of great merit. Bow down before Him; this is a virtuous action indeed. 1. Pause. 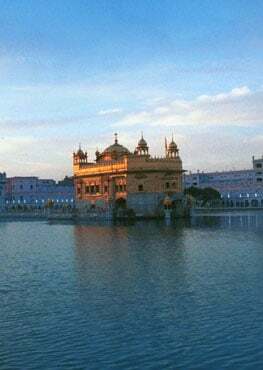 Unfortunately, we who claim to be followers of the devotional path of our Guru Jis, go to Gurudwara and fight for the positions to manage those institutions. For us positions of control, authority, status and title have become more important and meaningful than collectively incorporating Guru Ji’s message in our lives. So, for those positions if we have to resort to verbal or physical fights, tossing some one’s turban, we do not hesitate. We go out to the world and ask for recognition of our right to wear turban and fights laws where head covering are not allowed and then make these spectacles for the world, making our own mockery. It is very unfortunate and tragic scene we create for ourselves, and years of effort to fight against discrimination, promote freedom to practice one’s religion are flushed down the drain in minutes. Our Gurus practiced salutation and humility, while we the followers resort to hubris and don’t hesitate to fight for control and power. Let us refresh how Guru Teg Bahadur Ji handled the situation when he was not allowed inside Harimandir Sahib (also known as Golden Temple) to pay obeisance. Guru Ji did not create a scene there he quietly left the place after waiting there for some time. 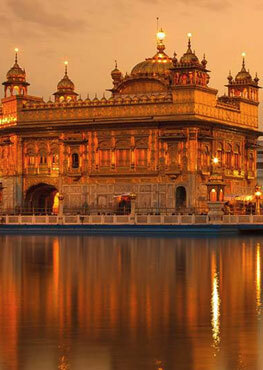 Today that place in the perimeter of that shrine is known as “Thara Sahib” – the Pillar of Patience. This incident happened very soon after an attempt on Guru Ji’s life and property in Bakala. As soon as Makhan Shah found out about the attack, he marched to Dhir Mall's camp with his soldiers. Dhir Mall and his associates tried to escape, but were nabbed and received a sound thrashing. They were all handcuffed and presented before Guru Ji along with the loot. Guru Ji was so magnanimous that not only he pardoned Dhir Mall, Sheehan, and their other accomplices, but also asked for all the looted property to be returned back to them. Makhan Shah returned everything but decided to keep the Adi Granth, as it was the community property of all Sikhs and not theirs. But Guru Ji scolded Makhan Shah and reminded him that Guru Nanak has given the wealth of Naam and there was no need for anything else besides it. Truly, a magnanimous heart filled with humility, is only capable of holding such an ungrudging gesture. What are we trying to share with the world the story of our Guru’s magnanimous, humble nature which is in state of salutations or our arrogance and tribal nature? It is very sad and painful to see these types incidents repeated again and again. We become the laughing stock of the world, and disgrace to the great legacy of our Gurus. Let us learn from the example of Guru Teg Bahadur Ji and practice those principles of humility and sure enough our hearts will be filled with Salutations in reverence. 1. Singh, Bhai Vir. Santhya Sri Guru Granth Sahib. Volume 2 and 3. 2. Singh, Prof. Sahib. Sri Guru Granth Sahib Darpan. Volume 1 and 2.